When a label sports a notable such as Matthew Shipp as its artistic director then there is no understating the expectancy it creates. Thirsty Ear's Blue Series does exactly that and more often than not lives up to the hyperbole it has created. Curious about the title of the album in question, a bit of googling gave the story away - "black arts disaster" seemingly was the phrase used by a reviewer to describe a concert in Italy featuring William Parker, Cecil Taylor and Anthony Braxton. 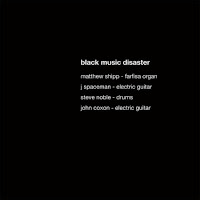 Travelling through ears and mouths it metamorphosed into "black music disaster" (which I have to admit is a great name for a CD!) - though the likeness stops right there without nothing to even remotely suggest a 'disaster'. Joining Shipp who is on the farfisa organ (as opposed to the usual piano) are J Spaceman (of Spiritualized) and John Coxon (of Spring Heel Jack) playing electric guitars and the inimitable Steve Noble on drums. A single 38 minute track is what this album comprises of - a track that ebbs and flows offering multiple climaxes which makes it that much more edgier with the general mood of the track being quite dark and gloomy. The general structure of the track has Shipp pounding chords on his organ with the guitar punctuating the music with its own texture and tone not to mention some ominous sounding feedback. It is hard not to notice that this album is intentionally trying to blur the lines that are meant to demarcate 'jazz', 'rock', 'noise' and more such elements, I would think. At times I had to remind myself that it was a Shipp record and not a post-rock-Mogwai-GodSpeed-You-Black-Emperor track. Having never heard a farfisa organ before I must acknowledge the fact that Shipp's sound seems transformed - it almost has a hypnotic sound and its constant pulsing almost makes for a psychedelic mood (it reminds me of an instrument used in India called the 'magudi' generally used by snake charmers!). Contrary to expectations the dual electric guitars are definitely not overpowering - in fact their measured restraint adds to the atmospheric tension that this album seems to constantly build, it almost feels as if all the players are giving each other enough space to let the music breathe. But the most noteworthy aspect and in my opinion the very highlight of the album is Noble - I am familiar with some of his work that lends him his iconic status and his contributions in this album just reaffirms that. Subtle yet dynamic, I often find him to be the most unpredictable and varied ingredient in this mix and it is oftentimes he who propels the music forward with purpose. Tastefully laid back yet powerful enough to leave his indelible mark on the track, Noble shines as the solo rhythm section. All said and done the one thing that is left at the back of my mind is that at 38 minutes the tracks seems to overstay its welcome sounding a trifle 'same'y and repetitive. While this may be a minor gripe, I am sure it is a factor that is going to come in the way of reaching out to this record for repeated listens - maybe another track in a different direction might have been a better fit but hey, who am I to say! Free jazz is one of those genres where there seems to be a cohesive effort by most of the musicians to push the envelope, to explore those uncharted territories. With this being an inextricable coefficient of this music, it becomes an implicit duty of the listener to expand his horizons too, to widen ones ears and minds. When done the rewards are aplenty - this record is both a nod to the effort and the payoffs therein. Thanks Ananth for this brilliant review. I really agree with your considerations about cross-genres experiment like this one, about the deep nature of free jazz and of good music in general. 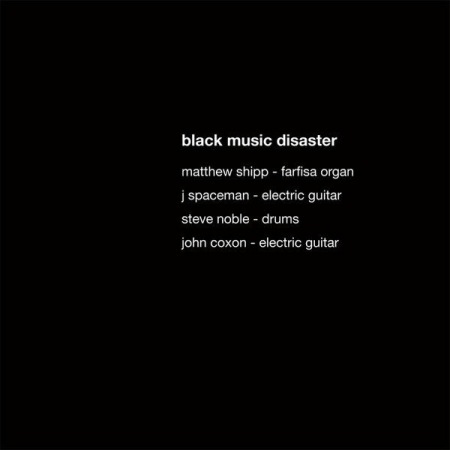 While I was listening to the the album I had your same thought: is Matthew Shipp playing with Good Speed You Black Emperor now? The answer, and I think you have my same point of view, is: "Why he shouldn't?". Thanks Paolo for your words of appreciation. I am glad that we do have concurring points of view. And yes - my honest belief is that it is such adventures that will fuel future forays into the unknown and also prove to be the impetus to carry music forward. Sometimes the end is far more important that the means used to achieve it, this effort is but a stepping stone on this journey - a grand kudos the the blue series whose efforts are certainly praiseworthy.